Manu Parekh was born in 1939 in Gujarat. Parekh completed a Diploma in Drawing and Painting from the Sir J.J. School of Art, Mumbai, in 1962. 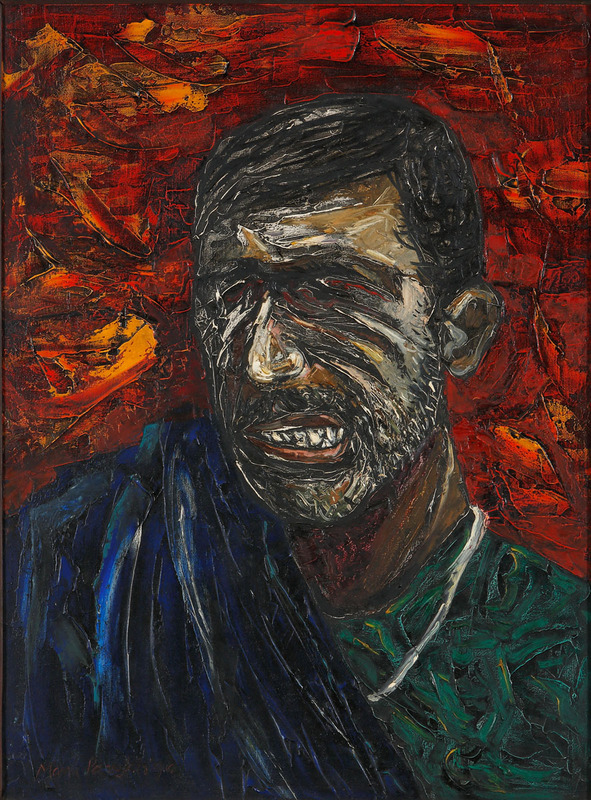 Parekh’s early work explored the relationships between man and nature,as he thought that it was an energetic link that had to be celebrated. The artist also points out that contradictions have formed the basis of his artistic practice, no matter the subject or genre of his works. 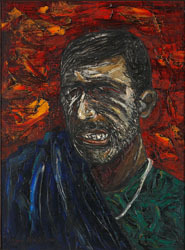 This artworks refers to the Bhagalpur blindings which occurred in 1979 and 1980 in Bihar, India when police blinded 31 individuals under trial by pouring acid into their eyes.